The Urban Roamer has been quite busy these past few days. Partly because of a personal/work trip coming up later this week. Along with so much work coming in these past few days and some new things coming up, it’s been quite hectic. In any case, this trip is something this roamer looks forward to. For one, this will mark the first time to finally get inside the Leandro Locsin-designed Terminal 1 of the Ninoy Aquino International Airport (NAIA). So yes, expect some photos of the terminal soon. Despite the excitement, the Urban Roamer is not looking forward to two things: the traffic going to NAIA Terminal 1 and the fact that there is no existing mass transportation connection that would easily connect all 4 terminals of NAIA and to nearby areas. This is a shame because Manila is one of the few metropolitan areas whose airport is not connected to any mass transportation system. The closest to mass transit connection so far would be the Baclaran Station of Line 1 which still entails commuters to pass through the heavy chokepoints of Ninoy Aquino Avenue, NAIA Road, and the Airport Road-Andrews Avenue. The planned Line 1 extension should make that mass transit connection a bit shorter with a station at NAIA Road but there will still be checkpoints one needs to go through. On the other hand, Asian neighbor cities Singapore, Hong Kong, even Kuala Lumpur have express trains linking their airports to their respective city centers. It was a missed opportunity for NAIA not have all terminals linked to the rest of the city by mass transit. Honestly, it’s uncertain if that is still doable considering that there are plans to create a new international gateway for Metro Manila and neighboring areas, which would make the present NAIA to be either downsized or shut down in the future. It is that reason why there is hesitation to build a mass rail airport link for it. With that said, NAIA right now is in a bind as far as new transportation options are concerned. At the very least, those arriving in Terminal 3 can always count on the newly-opened bridgeway connecting it to Resorts World Manila right across it where public transportation options are more varied (e.g. Villamor-Baclaran jeepneys and the Citylink buses). And Terminal 4 is at least right along the main road where there are jeepneys plying. That leaves Terminals 1 and 2 which have limited public transport options. 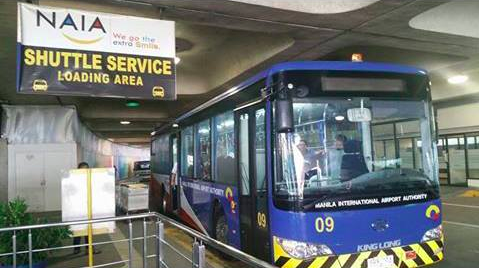 NAIA’s Shuttle Service – A minibus service that provides direct connection to any of the airport’s terminals (some providing connections for all 4) from its terminal at the back of Hotel Sogo near the Line 3 Taft Avenue Station as well as the Line 1 EDSA Station a few steps away. Trips are happening continuously for 24 hours so there is no schedule to worry about. 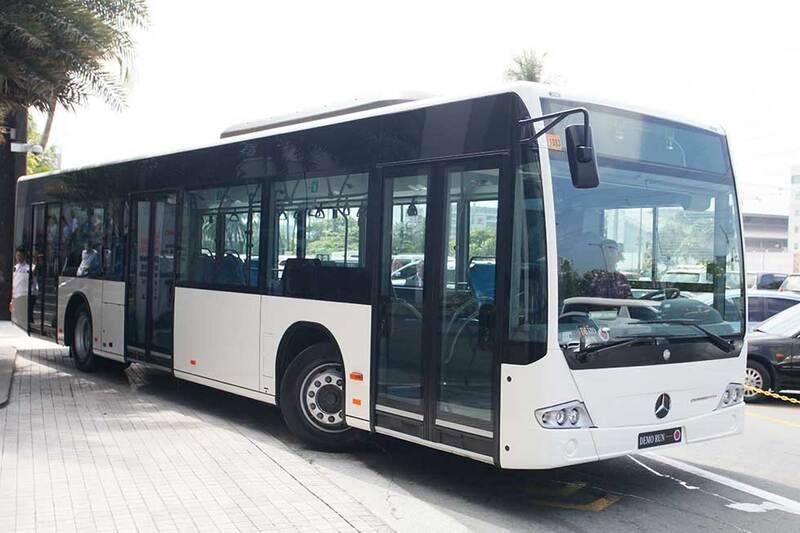 UBE Express – A more upscale bus service with more routes covered. Ube Express connect passengers to/from the 4 NAIA terminals and different destinations such as Makati, southern Manila, EDSA Pasay, and the Entertainment City-Mall of Asia complex. However, except the EDSA Pasay route, most of the bus routes only operate on a limited time window, in 1 or 2 hour intervals. If you want your commute to be more “intimate” but do not want to deal with taxis with possible overpriced fares, there are ride-sharing services such as Uber and Grab available, though it is subject to possible long wait times. In addition, some hotels may offer complimentary shuttle services such as Holiday In Express (the former Remington Hotel) at Resorts World Manila so you can check that out.